Do Helmets Protect Skiers Against Traumatic Brain Injury? Most skiing and snowboarding enthusiasts are trained to wear a helmet when hitting the slopes. However, experts are now questioning whether a protective piece of plastic is sufficient in preventing snow lovers from obtaining head trauma, including traumatic brain injury. More American snowboarders and skiers than ever before are wearing helmets. The number of these conscientious riders has nearly tripled since 2003, as seventy percent of all skiers and boarders are now wearing helmets. According to the National Ski Areas Association, incidents of brain injuries or fatalities related to snow-sports have remained unchanged. The TryMunity community offers support for those who have been affected by these head injuries. 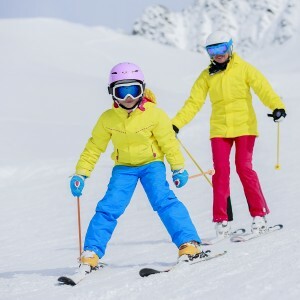 While all experts agree that wearing a helmet when participating in snow-sports is vital, studies have shown that wearing a helmet may be correlated to a greater likelihood of engaging in risky behaviors. Many boarders and skiers believe that because they are wearing a helmet, they are able to attempt high-risk jumps and going off trail. Those who are at highest risk are males between the ages of seventeen and thirty. Many helmet manufacturers are turning their attention toward redesigning their helmets using new technology to maximize protection from traumatic brain injury. Efforts have also been made to educate those who wear helmets as to their limitations. Whether you suffer from traumatic brain injury or you are simply interested in learning more information about head injuries, TryMunity can answer your questions as well as lend vital support. We strive to educate others on the facts of traumatic brain conditions and head injury. By joining our community, you will be linked with others who share your condition. Join today by visiting http://community.trymunity.com/. Source: The New York Times, “Ski Helmet Use Isn’t Reducing Brain Injuries,” Kelley McMillan, December 31,2013.